BIRKENHEAD, England - Sept. 25, 2018 - PRLog -- Metanoeo CIC, a social enterprise based in Birkenhead will be celebrating Social Saturday on 13 October – a nationwide campaign designed to raise awareness about those businesses which are doing business differently, putting people and communities first. Metanoeo exists to make wellbeing accessible to the many and not the few. They do this through providing; life coach training, wellbeing entrepreneurship, life and wellbeing skills training, professional and vocational skills training and a collaborative ongoing support network. Their desire is to transform society through providing accessible wellbeing services to the marginalised and disadvantaged through empowering and partnering with individuals and communities to train and place wellbeing focused life coaches. There are over 80,000 social enterprises in the UK – businesses which trade to meet a social or environmental purpose and which reinvest the majority of their profits back towards meeting their social mission. Many are set up to improve the health and wellbeing of the areas they work in offering services including community healthcare, dentistry, midwifery and mental health care. The campaign, organised by Social Enterprise UK, the membership body for social enterprises, and supported by the Coop and the Department for Digital, Culture, Media and Sport shines a spotlight on these businesses which are operating across the economy – delivering goods and services ranging from consumer products to public transport, housing, health and social care. "We've chosen to mark social Saturday by running a seminar showcasing our approach to wellbeing. 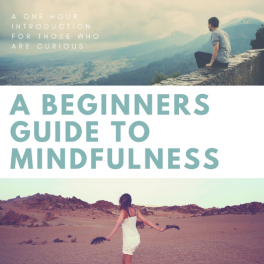 We'll be offering a one-hour mindfulness workshop for people who don't see themselves as someone who meditates. We believe we have to find ways of taking concepts such as mindfulness and life coaching and making it more accessible for the ordinary person in the street." "Social enterprises are creating equality though business– set up to improve society, reduce health inequalities and give back to the communities they work in. Those working in health and care are using their independence to deliver innovative, community focused services combining public duty with entrepreneurialism and the ability to think outside the box to put the people they work for first. Social Saturday is a chance to put social enterprises on the map. If we are to tackle the urgent challenges we face as a nation and as a global community – from the persistence of poverty and inequality to climate change we urgently need to rethink our economic model. Social enterprises show us how we can do business differently and point to what a fairer, more sustainable future can look like.